Chilli, Coriander, Cumin, Dry mango, Salt, Garlic, Fennel, Black pepper, Black salt, Cloves, Black cardamom, Dry ginger, Cassia, Citric acid and Mace. Take 5tsp oil and 30g salted butter in a pan. Add 2 medium (100g) chopped onions, 2 big (125g) chopped capsicum and sauté for 2 minutes. 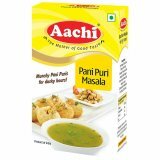 Add 2tsp Aachi Ginger Garlic Paste. Allow to go off flavor of ginger. Add 5 big (250g) chopped tomatoes, fry till they ooze oil. 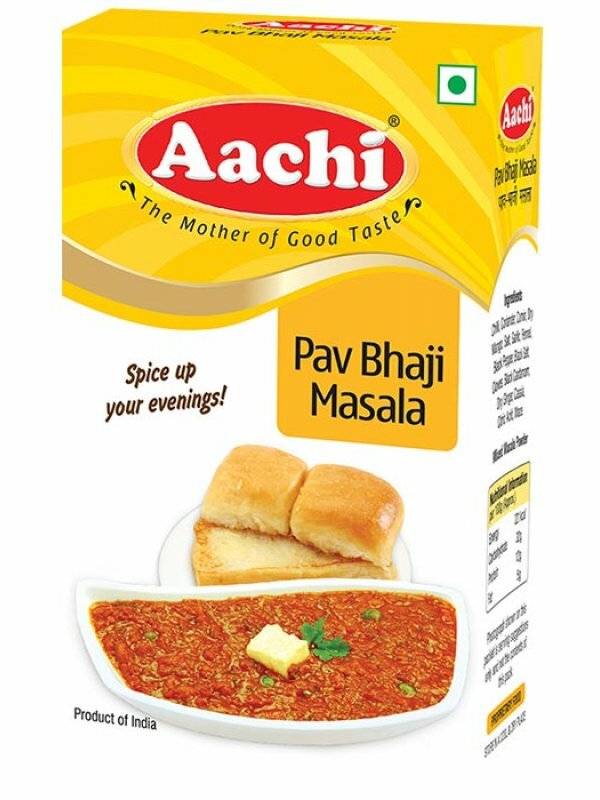 Add 3tbsp of Aachi PavBhaji Masala and saute for 1 minute. Add 5 medium (250g) boiled mashed potatoes and 1 cup (125g) of frozen peas. Saute the mixture for 1 minute. Add 150ml warm water. Allow to boil for 2 minutes. Add salt to taste. Add salted butter, chopped onion and lemon juice and serve hot with buttered buns/pavs.